A great option for your next block party. To cook the farro: In a medium saucepan, stir together stock and farro, and cook according to package instructions until al dente. Remove from heat, and drain in colander. Let farro cool for at least 10 minutes. 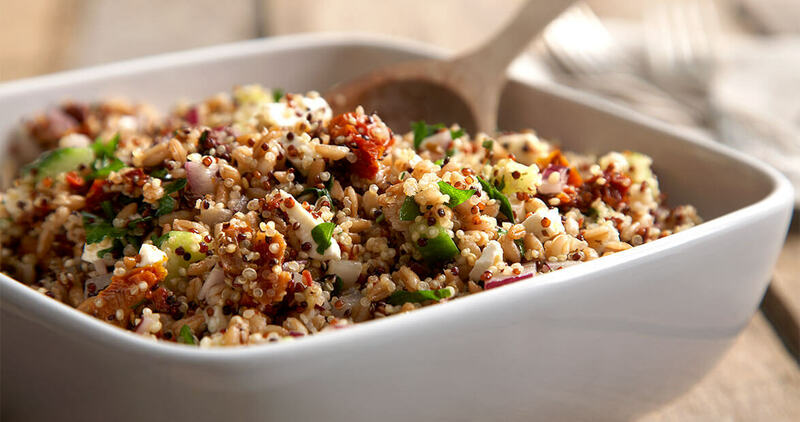 To cook the quinoa: In a medium saucepan, combine the rinsed quinoa and the water. Bring the mixture to a boil over medium-high heat, cover, and remove from heat. Let quinoa sit, covered, for 10 minutes. Fluff with a fork. Set aside to cool. For the dressing: In a small bowl, whisk together all ingredients until combined. Transfer cooked grains to a large mixing bowl, and add in remaining salad ingredients, including the dressing. Toss until combined. Serve immediately, or cover and refrigerate for up to 2 days. 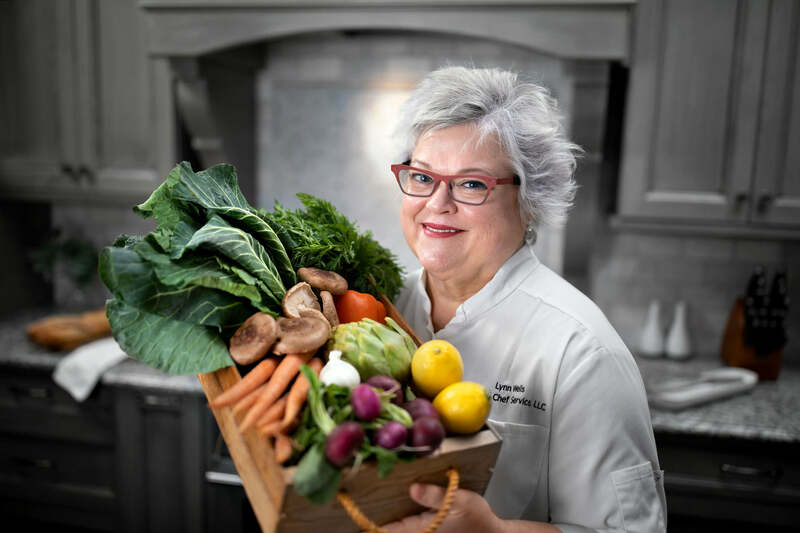 Lynn Wells is a personal chef with more than 20 years of experience in the food and hospitality industry and a degree in Nutrition Management from UNCG.